Board certified dermatologist Deborah Atkin, MD, offers her own unique variation on standard Photodynamic Photorejuvenation treatment for acne. The treatment kills acne-causing bacteria in your skin, clearing acne and preventing future breakouts. Treatment is safe, quick and painless, with no downtime. Photodynamic Therapy works through several short treatment sessions, usually about 15 minutes each (typically one to two treatments a week for about Four weeks). At each session, the patient sits with his or her face close to the blue light, which actively works to destroy the p. acnes bacteria in the skin. The blue light works to control acne providing long-term clearing. 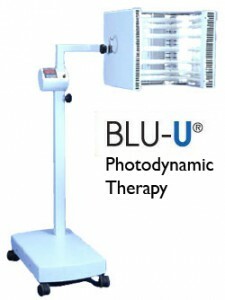 Did You Know?Did you know Photodynamic therapy (PDT) was first developed in Europe in 1913? Do you have additional questions? 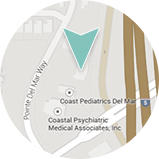 Contact our office to schedule a consultation with Deborah H. Atkin, M.D..